Criticisms are inescapable to the social human being. When accomplishing something or buying new items, it is better to expect one to avoid negative feelings. How a criticism can be handled is vital in living a harmonious and peaceful life. Whether at work or school, with family or friends, criticisms serve certain purposes that can enhance personal growth and way of life. As an individual’s social circle grows, he/she is even more prone to criticisms. Although it is being stressed that criticisms are essential, it is equally important to state that feeling bad about being given one is okay. Some people have the fear of being criticized and for that, they are more vulnerable to feel bad. Even the best people in their respective fields are criticized. But because of their tenacity and their ability to handle criticisms well, they are able to succeed and become better persons for it. This course will provide strategies and tips on how to handle criticisms, be it constructive or destructive. More importantly, it will help the participants to identify which is helpful and which is downright hurtful. The examples of real-life situations will allow the participants to practice what has been learned and what to expect in the future. This How To Handle Criticism workshop is ideal for anyone who would like to gain a strong grasp and improve their How To Handle Criticism. 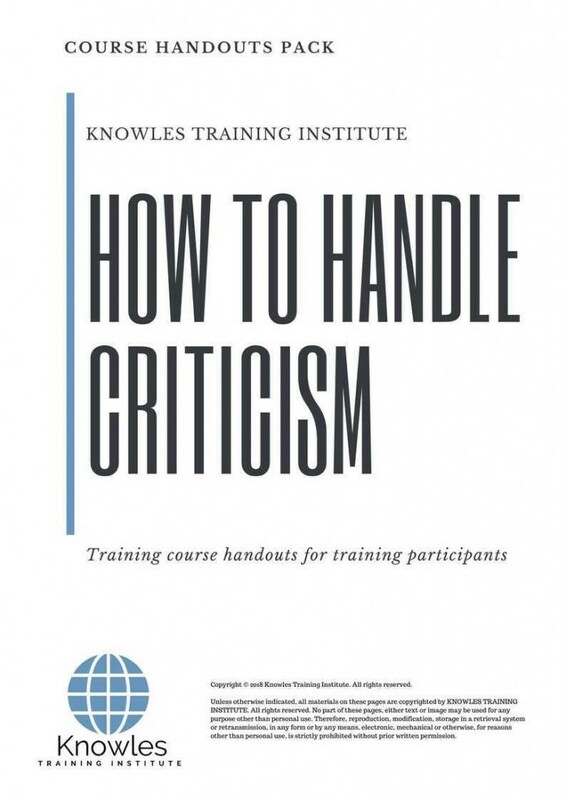 The duration of this How To Handle Criticism workshop is 1 full day. Knowles Training Institute will also be able to contextualised this workshop according to different durations; 2 full days, 1 day, half day, 90 minutes and 60 minutes. 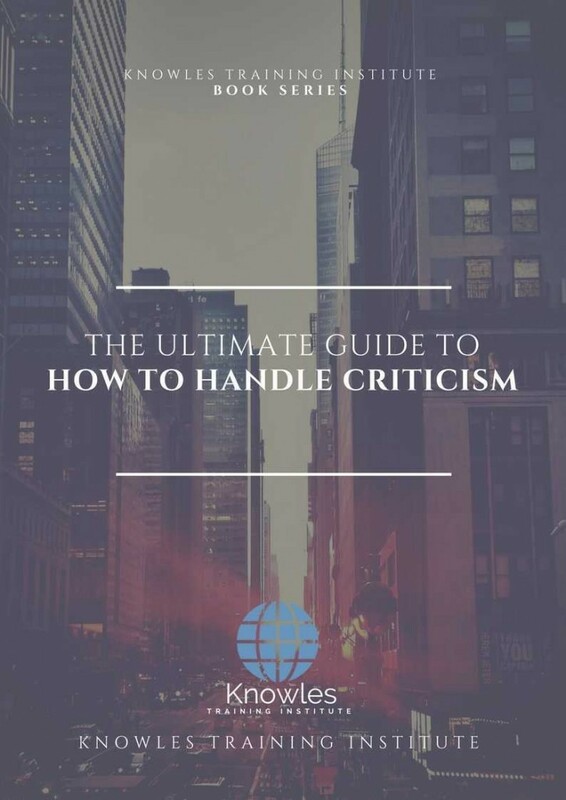 Why is it important to deal with criticisms well? When is a criticism to be expected? How valid is a criticism based on the person giving it? Which situations are helpful and hurtful criticisms? What is the Emotional Quotient (EQ)? How important is a person’s EQ in handling criticisms? What are the lasting effects of handling criticism? 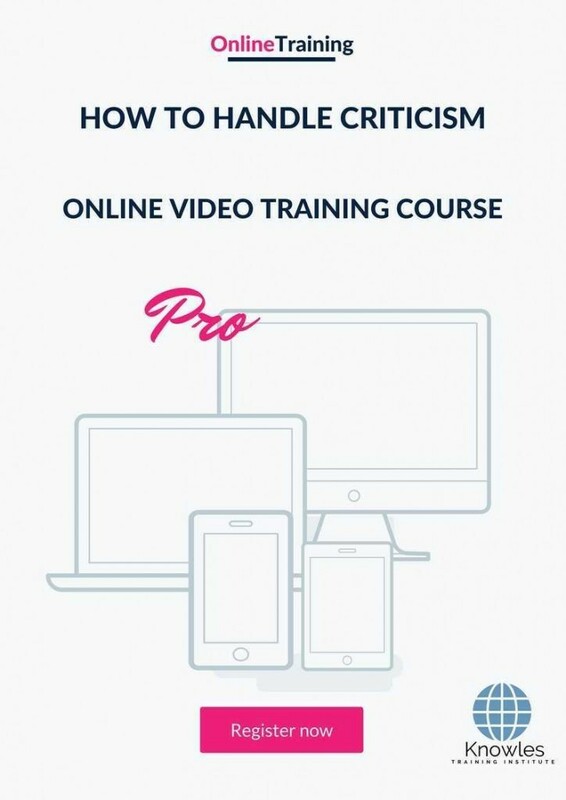 There are 3 pricing options available for this How To Handle Criticism training course. Course participants not in Singapore may choose to sign up for our online time management training course. Request for this How To Handle Criticism course brochure. Fill up the short information below and we will send it to you right away! 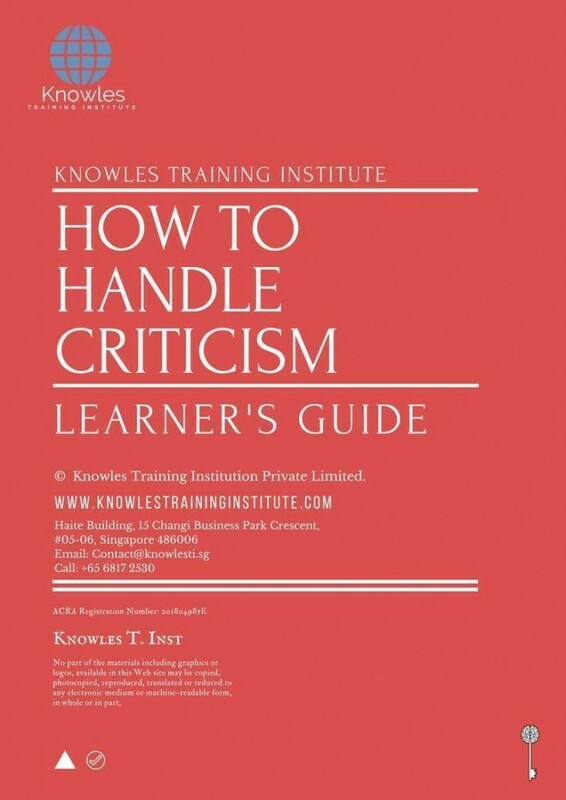 Register For This How To Handle Criticism Course Now! 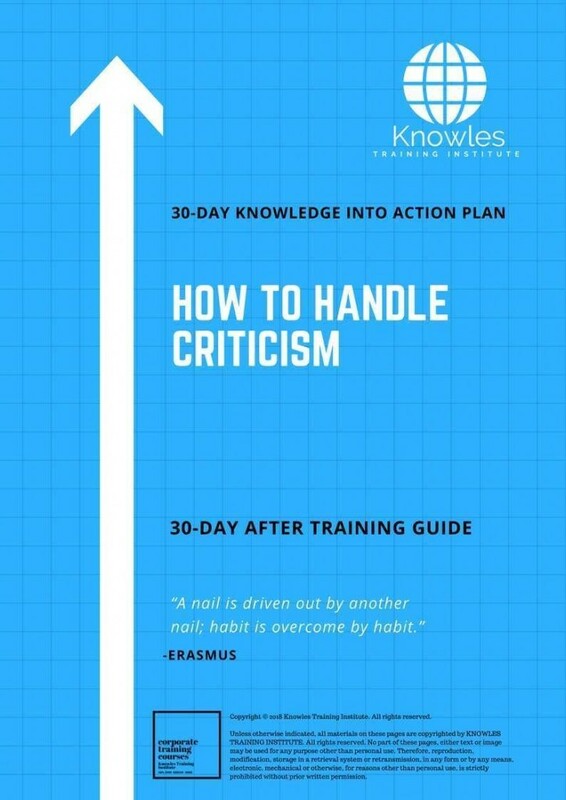 Share This How To Handle Criticism Training Course! 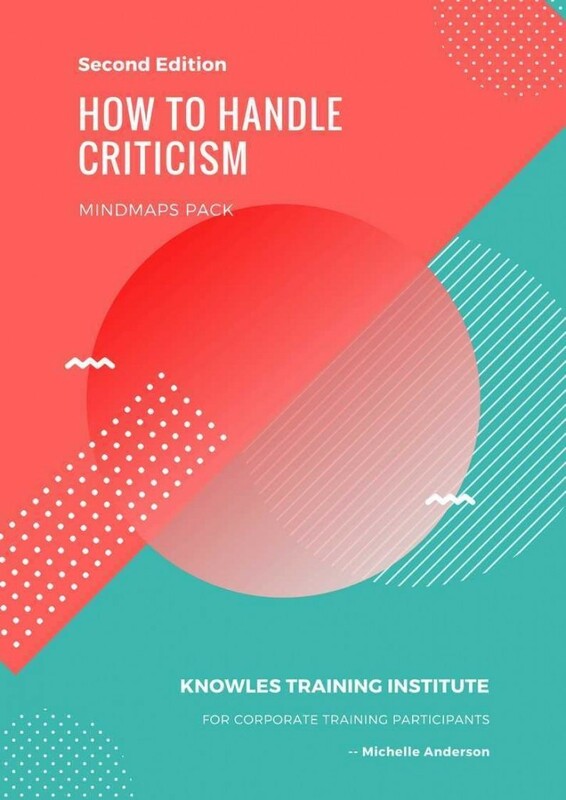 How To Handle Criticism course, workshop, training, class, seminar, talk, program, programme, activity, lecture. How To Handle Criticism courses, workshops, classes, seminars, talks, programs, programmes, activities, lectures in Singapore. How To Handle Criticism improvement tips, How To Handle Criticism techniques, improve How To Handle Criticism, improve How To Handle Criticism games, How To Handle Criticism improvement exercises, improve How To Handle Criticism power, how to have good How To Handle Criticism, how to have good How To Handle Criticism in studying, how to build up your How To Handle Criticism, how to improve How To Handle Criticism how to improve How To Handle Criticism course in Singapore. 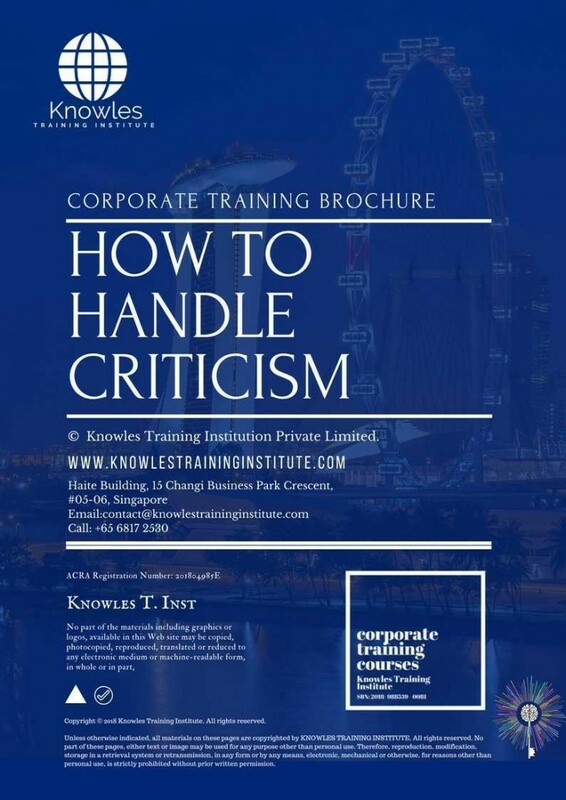 Enhance, boost, build up, enlarge, heighten How To Handle Criticism course in Singapore. Increase, intensify, raise, reinforce, strengthen How To Handle Criticism. 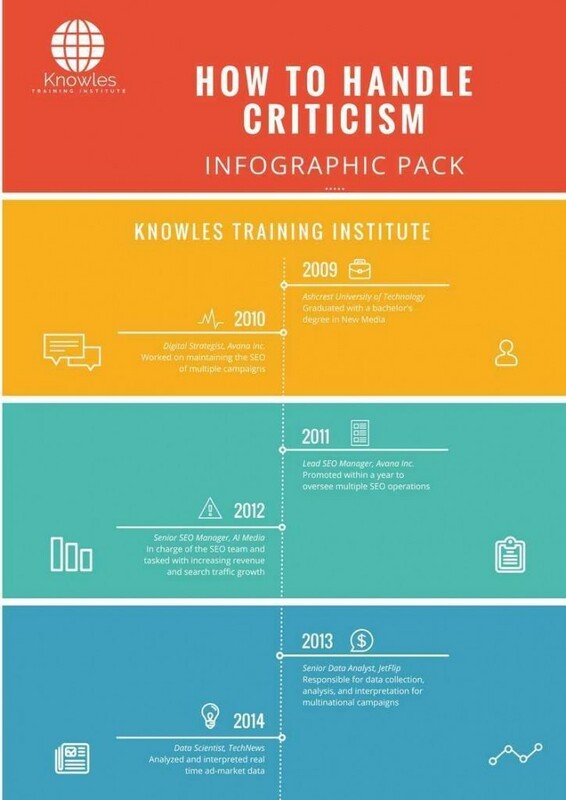 Upgrade, amplify, boom, elevate, exaggerate, magnify, grow, gain How To Handle Criticism. 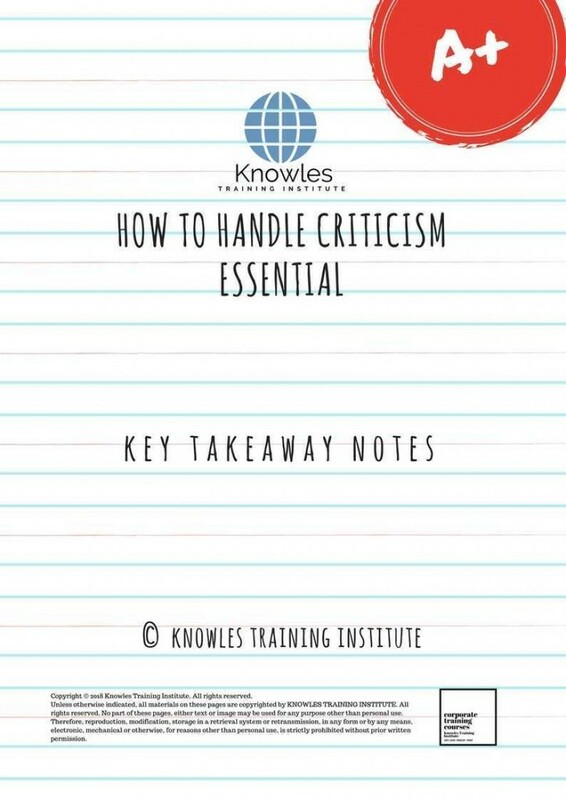 Develop How To Handle Criticism, multiple, power up, beef up, bolster, establish, extend How To Handle Criticism. 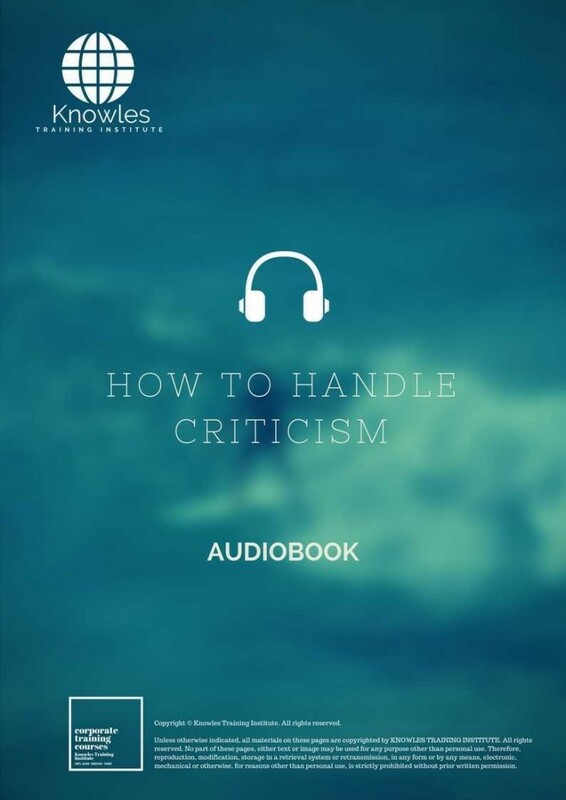 Invigorate, restore, step up, toughen, empower, fortify, regenerate How To Handle Criticism. Rejuvenate, renew, escalate, expand, maximize How To Handle Criticism. Powerful, mighty, impressive, competent, great, excellent, exceptional How To Handle Criticism in Singapore. Superb How To Handle Criticism. Super, superior, strong, solid, active How To Handle Criticism training courses and workshops in Singapore. 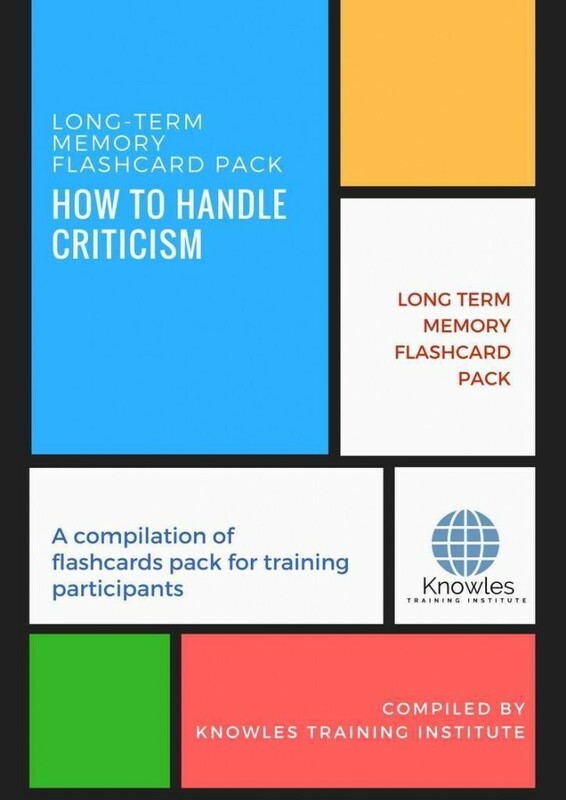 How To Handle Criticism enhancement, booster, building up, enlargement, heightening, increment, strengthening, amplification. How To Handle Criticism magnification, growth, development, power, empowerment, regeneration. How To Handle Criticism rejuvenation, development, escalation, expansion. 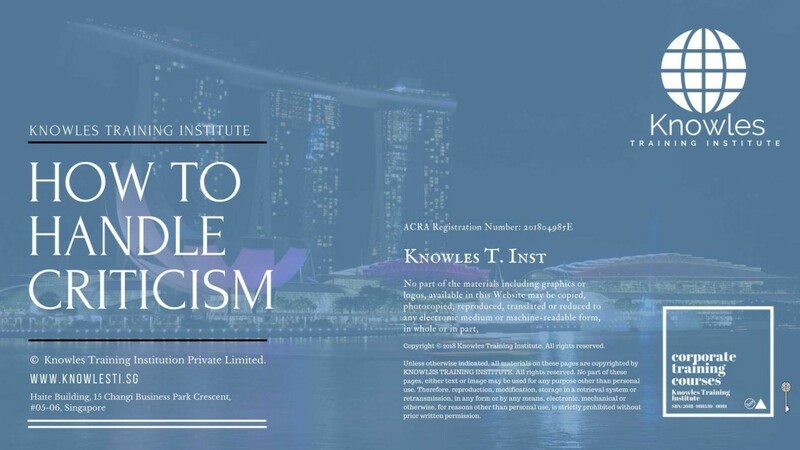 How To Handle Criticism maximization, power training courses & workshops in Singapore.